How are our minds and brains constructed? We, humans, cannot make lightning-fast calculations like computers can. We even often make errors. However, humans are capable of feats that computers cannot accomplish; we demonstrate keen intuition, flexibility, and outstanding creativity. Furthermore, our emotional faculties strengthen the bonds between individuals, and the resulting social cohesion allows us to achieve more than we could if we operated individually. While such intelligence is present in humans, on the flip-side, we also demonstrate our fair share of silliness. For example, we become enslaved to prejudice, believe in jinxes and other superstitions, continually engage in irrational impulse buying, and succumb to jealousy and bitterness, which can plunge us into an endless negative spiral. However, considering that our mental processes developed over a long span of evolutionary history, our intelligence and silliness may in fact be two sides of the same coin. In this lab, we focus on these dual aspects of human intelligence, and aim to elucidate the nature of human reasoning, decision making, and problem solving. Y. Nishida (PD) has started a new work as a postdoctoral fellow at Ritsumeikan University. Y. Nishida (D3) received a Ph.D. from Ritsumeikan University. M. Hattori (Prof) now assumes the Executive Editor of Cognitive Studies: A Bulletin of Japanese Cognitive Science Society. M. Hattori (Prof) gave a talk at The 22nd AI Art and Aesthetics Research Meeting at Bigakko, Tokyo. M. Hattori (Prof) authored an article on artificial intelligence, which has just been published in Journal of Japanese Society for Artificial Ingelligence, 33(5), 771–779. 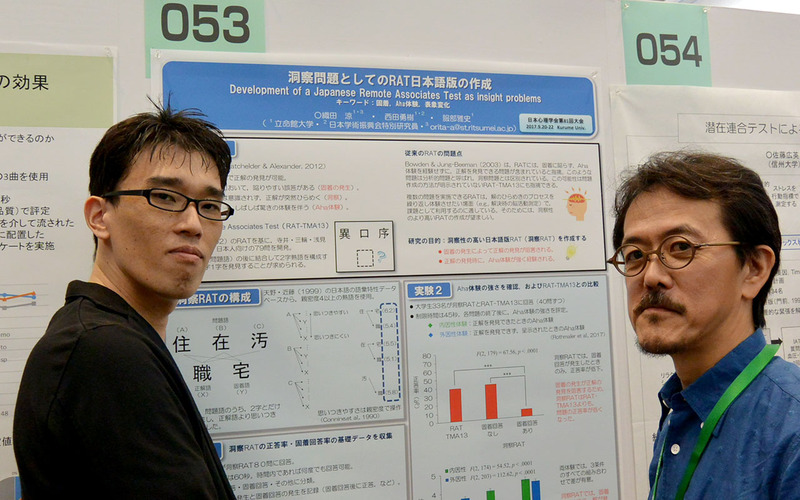 R. Orita (Alumni) and M. Hattori (Prof) coauthored a paper on the relationship between affect and implicit cognition, which has just been accepted for publication in Japanese Psychological Research, 61(2). M. Hattori (Prof) coauthored sections of a new handbook, Handbook of Experimental Psychology Methodology. R. Orita (Alumni), M. Hattori (Prof), and Nishida (D3) coauthored a paper on a Japanese remote associates task (RAT), which has just been accepted for publication in Japanese Journal of Psychology, 89(4). 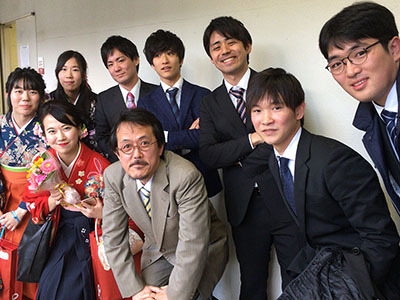 R. Orita (Alumni) has started a new work as a lecturer at the University of East Asia. R. Orita (Assist) received a Ph.D. from Ritsumeikan University. M. Hattori (Prof) gave a talk at The 21st Lecture of Whole Brain Architecture Initiative at Lazona Kawasaki Toshiba Building. M. Hattori (Prof) contributed a preface for Cognitive Studies, 25(1). M. Hattori (Prof) authored an article on artificial intelligence, which has just been published in Psychology World, 80, 27–28. Y. Nishida (D2), M. Hattori (Prof), R. Orita (Assist) coauthored a review paper on inhibition function in insight problem solving, which has just been accepted for publication in Ritsumeikan Journal of Human Sciences. Y. Nishida (D2), R. Orita (Assist), M. Hattori (Prof), V. Castoldi (JSPS PD Fellowship), and L. Macchi (collaborator) coauthored a paper on inhibition function in insight problem solving, which has just been accepted for publication in Cognitive Studies. Dr. Valeria Castoldi (Univ of Millan-Bicocca) has just joined our lab as a JSPS Postdoctoral Fellow. Y. Nishida (D2) has awarded a grant from JSPS, Overseas Challenge Program for Young Researchers (from 31-Jan to 31-Jul-2018, Italy). R. Orita (Assist) and M. Hattori (Prof) coauthored a paper on interpersonal cognition, which has just been accepted for publication in Japanese Journal of Experimental Social Psychology, 57(2). N. Miyakawa (M2) and M. Hattori (Prof) coauthored a paper on disfluency effect of letters, which has just been accepted for publication in Cognitive Studies, 24(3). We welcome 10 new juniors (3rd year students) to our lab. M. Hattori (Prof) coauthored a paper on causal reasoning, which has just been accepted for publication in Thinking & Reasoning. 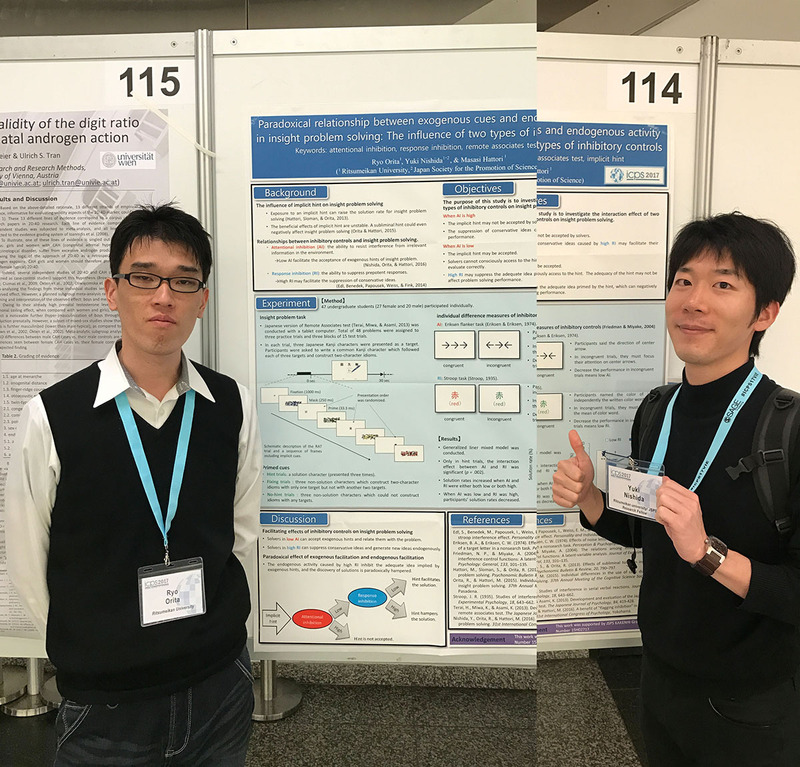 R. Orita (Assist) and Y. Nishida (D1) make a poster presentation at ICPS 2017 (2nd International Convention of Psychological Science, Vienna, Austria). Graduation ceremony: Eleven 18th batch lab students have just graduated. 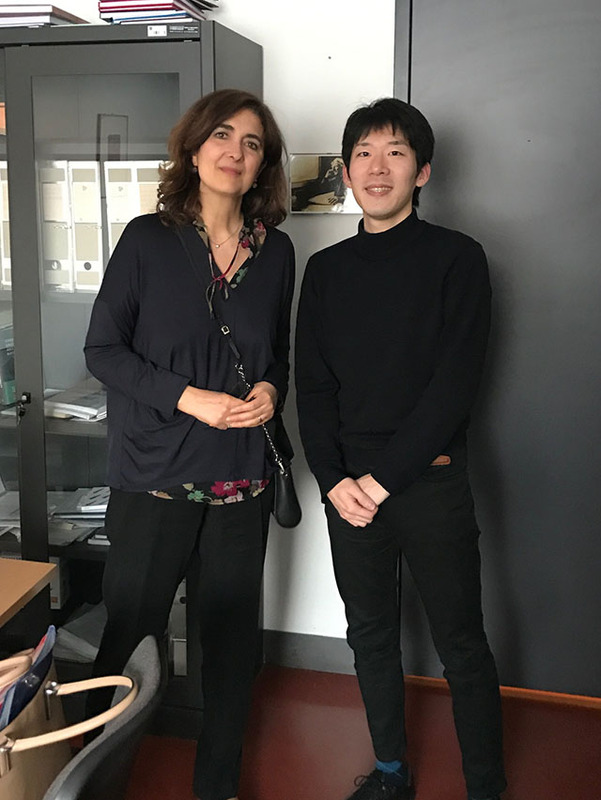 Y. Nishida (D1) is staying at Prof. L. Macchi's lab, Univ of Milan-Bicocca, Italy, and carrying out research into insight problem solving in collaboration. 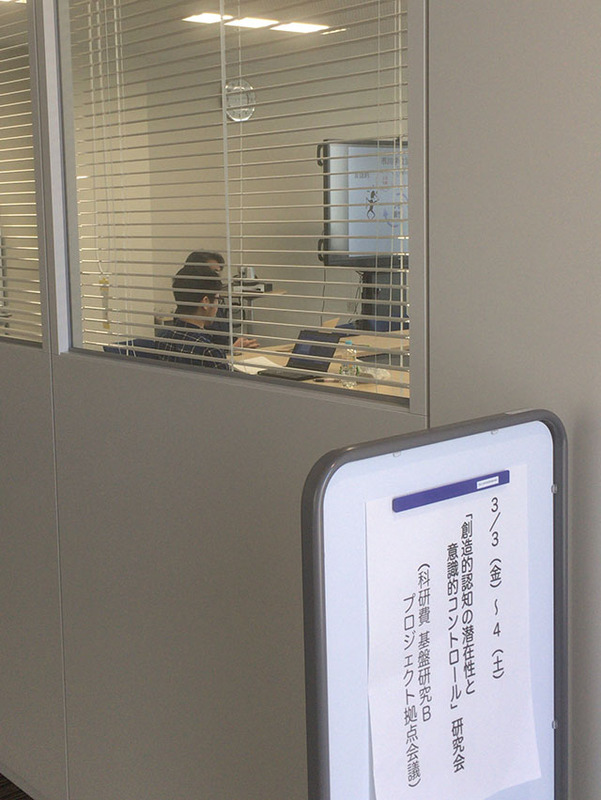 A meeting of the research project Implicit Creative Cognition and Conscious Control take place at Ritsumeikan University, Osaka Ibaraki campus. R. Orita has awarded a grant from JSPS, KAKENHI Grant-in-Aid for Young Scientists (B). M. Hattori (Prof) now assumes a Review Editor of Frontiers in Psychology, section Cognition. 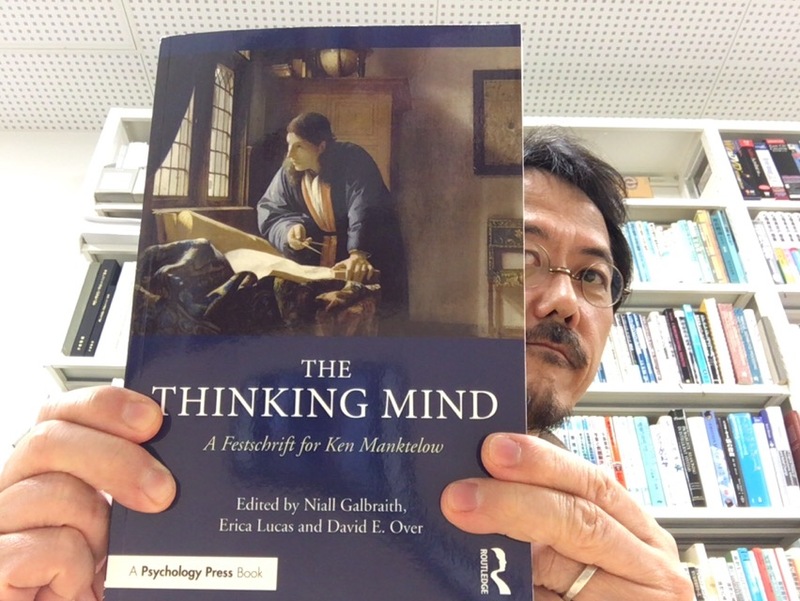 M. Hattori (Prof) has contributed a chapter to a new book on psychology of thinking, which is now available at bookstores. Y. Nishida (D1) makes a poster presentation at JPS 2016 (35th Annual Convention of Japanese Psychonomic Society, Tokyo Woman's Christian Univ., Japan). M. Hattori (Prof) coauthored a new text book on cognitive psychology, which has just been published. Goryo, K., Kikuchi, T., Egusa, H., Ijuin, M., Hattori, M., & Iseki, R. (2016a). “Invitation to cognitive psychology (Rev. Ed. ).” Tokyo: Saiensu. M. Hattori (Prof) authored a paper on syllogistic reasoning data, which has just been accepted for publication in Data in Brief. M. Hattori (Prof) gives a public lecture at the 3177th Ritsumeikan Saturday Lecture Series. 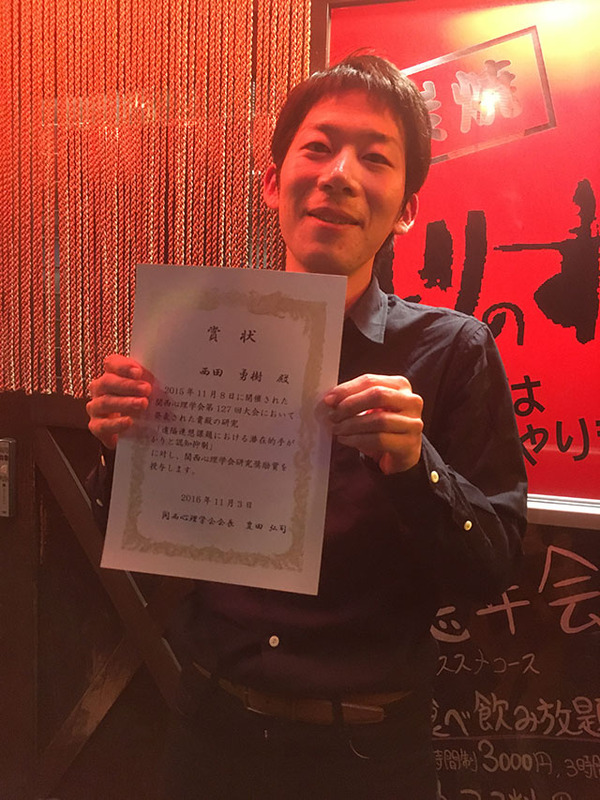 M. Hattori (Prof) authored a paper on probabilistic representation in syllogistic reasoning, which has just been accepted for publication in Cognition. English pages are totally renewed. 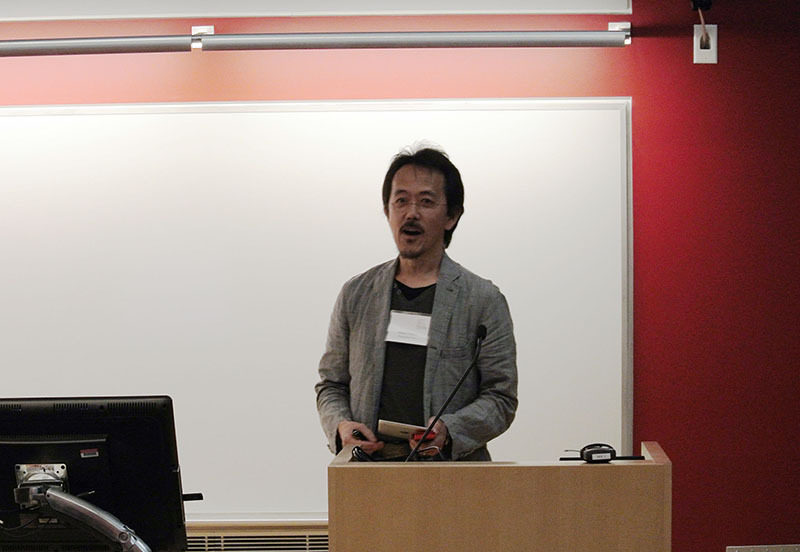 M. Hattori (Prof) gives an oral presentation at ICT 2016 (8th International Conference on Thinking, Brown Univ., Providence, USA). R. Orita (Assist) makes a poster presentation at ICP 2016 (31st International Congress of Psychology, Pacifico Yokohana, Japan). Y. Nishida (D1) makes a poster presentation at ICP 2016 (31st International Congress of Psychology, Pacifico Yokohana, Japan). 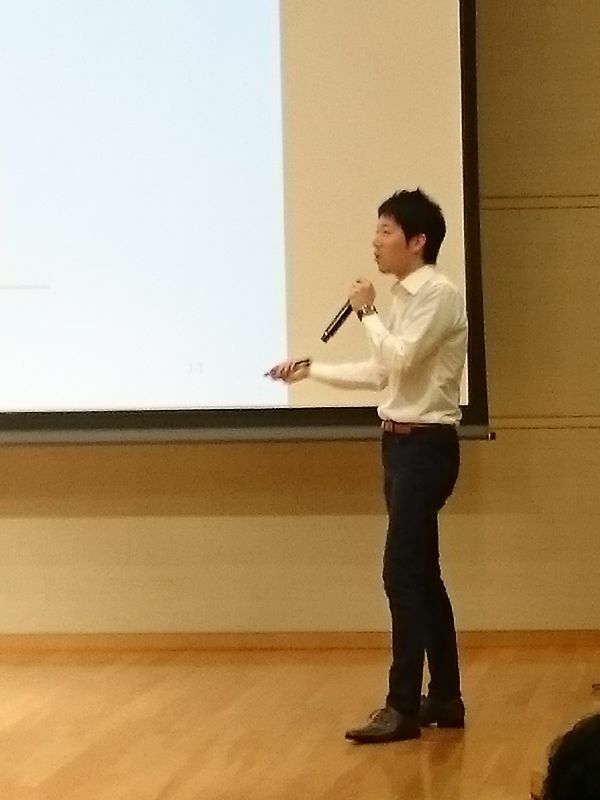 N. Miyakawa (M1) makes an oral presentation at JSCP 2016 (14th Annual Convention of the Japanese Society for Cognitive Psychology, Hiroshima Univ., Japan).